Rumor has it that yesterday the Trinity College basketball team was coming home from a recent win. 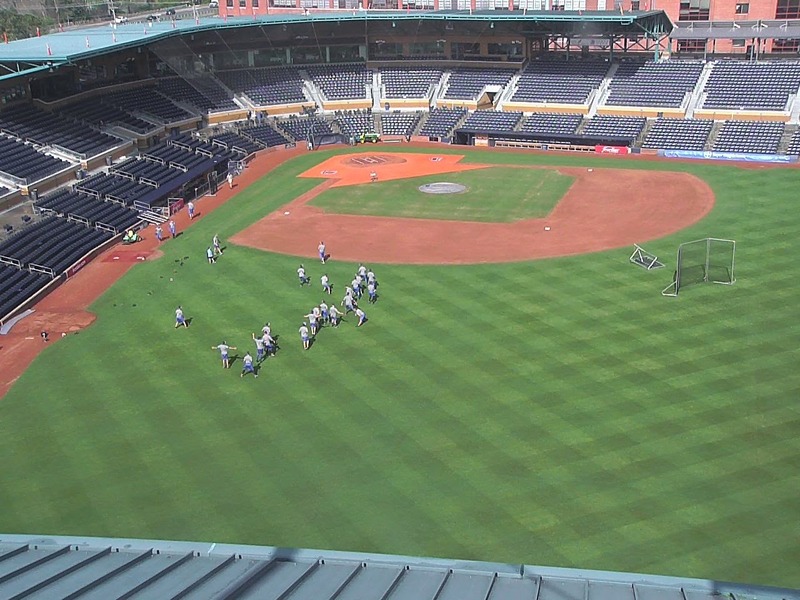 That meant that news coverage of the Durham Bulls arrival in town was a bit sparse. Nevertheless, new manager Jared Sandberg did very well. Check out the Herald-Sun’s story. If you want more depth, the entire interview is up on WRAL’s site. The N&O was there, but apparently all available space in the paper was taken up by the aforementioned basketball team. Highlights of the Sandberg interview include his thoughts on the effect that the Blue Monster has on hitters (1:41), who will be playing 3rd base (3:40) (Answer: everyone), no set role for pitchers in the bullpen, and observations on the effect of the pitch clock and other rule changes (12:00). He also announced the starting pitcher for tomorrow’s opener at Gwinnett — Dylan Floro. Mikie Mahtook also took an interview with WRAL. "Happy to be here. 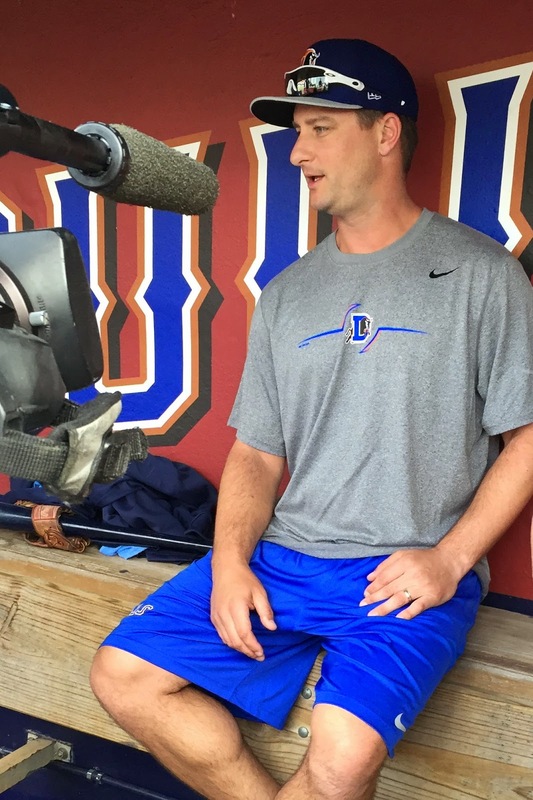 Durham Bulls fans are great." And he looked like he meant it. How’s the park? Not bad. Not great, but maybe as good as it’s been since the renovation/re-dig/replant. Plus the winter was not kind. The theory is that this year's turf will just get better and better. We can hope.